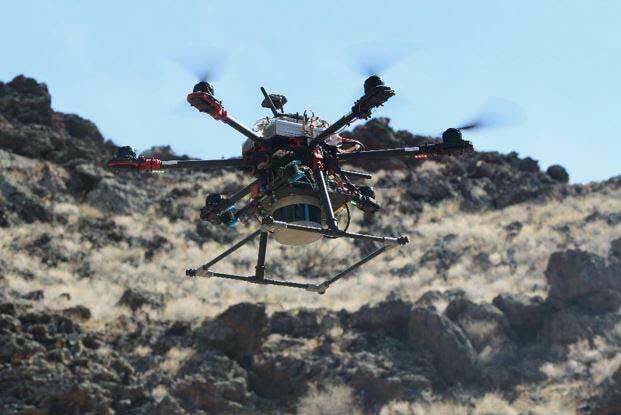 Under a research contract with NASA, Astrobotic has developed a custom navigation software product, known as AstroNav, to give small free-flying spacecraft the ability to autonomously explore lunar lava tubes. 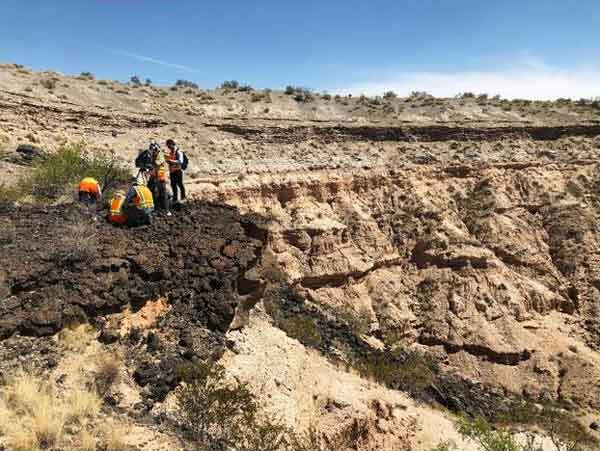 Meanwhile, SSERVI researchers have been working to analyze the capabilities of compact and deployable instruments needed to collect and characterize geologic samples in the field. Advances in both areas are paving the way for future missions that are far more dynamic and autonomous than those possible today. To explore sub-surface environments on the Moon, Astrobotic’s AstroNav employs both stereo vision- and LiDAR-based navigation, works without GPS or previously stored maps (neither of which exist in the target environment), and can operate in real-time while a free-flying spacecraft explores a novel environment at a high rate of speed. The ability to utilize and fuse multiple of sensors is critical to exploring these challenging environments. While LiDAR can be used to explore pitch-black subterranean environments, and visual sensing can be used on the brightly lit surface of the Moon while using far less power, combining the sensing modalities allows a spacecraft to perform a seamless traverse over the lunar surface before dropping into a skylight from above. A primary goal of Astrobotic’s research is to demonstrate the capability to navigate and map, using both LiDAR and vision, and to seamlessly transition between the two sensing modalities mid-flight when environmental conditions change rapidly. If successful, AstroNav could enable a small spacecraft to explore these underground environments autonomously, returning from the darkness to send data back to Earth, return a sample to the surface, or refuel. 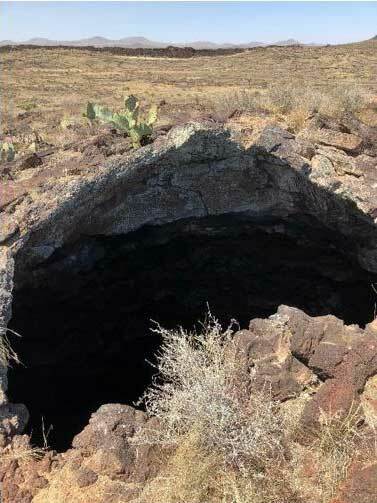 Lunar lava tubes are high-priority targets for scientific research because they provide access to geologic formations that have been shielded from space weathering for billions of years, and therefore may contain a preserved record of the conditions present during the formation of the lunar mare. Additionally, while these tubes are rich in scientific samples, they could also be ideal locations for future human settlements because they provide natural protection from radiation and micrometeoroids. 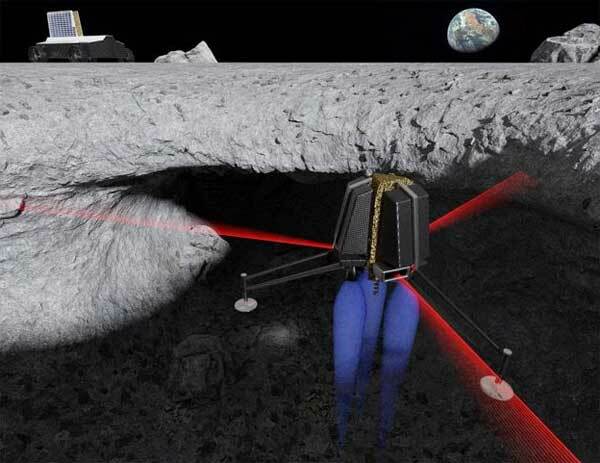 Both applications make lunar lava tubes appealing for further exploration. While lava tubes are difficult to access because they are buried below the lunar surface, roof collapses, known as skylights, offer a tantalizing way to access the subsurface. Long hypothesized to exist, only in the past decade have numerous lunar skylights been detected from orbital imagery, and scientists have recently discovered that the Moon may host massive networks of lava tubes. In fact, radar data from the Japanese Spacecraft SELENE, currently in orbit around the Moon, indicates tubes that may be 50 km long and large enough to contain a colony the size of Philadelphia. Planning for robotic and human missions to explore lunar skylights is already underway in earnest, and this past April Astrobotic’s Future Missions and Technology team joined the RIS4E SSERVI team, led by Prof. Timothy Glotch from Stony Brook University, at a field test site in New Mexico to demonstrate a number of key technologies required for these missions. The field site, known as the Potrillo Volcanic Field, has volcanic features analogous to those found on the Moon and Mars, and the collaboration between the teams sought to address the challenges of conducting extra-planetary geologic data and sample collection from autonomous aerial science platforms. Due to its unique features, the Potrillo Lava field has served as a venue for planetary geologists and NASA astronauts since the Apollo program. At Potrillo, RIS4E team members conducted geologic fieldwork, incorporating sophisticated hand-held scientific instruments, including a portable X-ray fluorescence spectrometer, an X-ray diffractometer, and a hyperspectral infrared camera, into geologic studies similar to what astronauts might one day perform on the Moon. Meanwhile, Astrobotic flew their custom uncrewed aerial vehicle (UAV) above the lava field, recording sensor data and developing detailed maps of areas of interest. Testing together, the science and engineering teams were able to understand each other’s goals and challenges, and refine a vision for lunar subsurface exploration. “Working with a leading commercial space exploration company like Astrobotic has given the RIS4E team a valuable perspective on how science an exploration can be best combined for future lunar missions. We look forward to future successful collaborations,” said Dr. Glotch. Astrobotic’s research was funded in part by NASA’s Small Business Technology Transfer (STTR) program. Under this contract, Astrobotic will perform a field demonstration of AstroNav technology in lava tubes in the coming months. The company has plans to further develop and expand their research into GPS-denied in-space navigation, with planned extensions to AstroNav that will enable spacecraft to land on unmapped planetary surfaces and perform satellite or asteroid rendezvous. The company is also actively developing the software to provide autonomous landing or subsurface navigation capabilities to terrestrial UAVs. Looks like these X Prize orphans are getting a second shot at the Moon under this administration. Yay. Better yet, they are recognizing the navigational hazards of the breakdown talus on the floors of lava tube caves, and talking about flying probes into the caves. It seems that actually going into caves and busting the skin on you knees against the piles of boulders improves thought! I’m happy to hear of the progress! Here is a one page abstract PDF on it ..
ASTROBOTIC RESEARCH AND DEVELOPMENT: VISION-BASED NAVIGATION SOLUTIONS FOR SPACECRAFT. Kerry Snyder, Eric Amoroso, Fraser Kitchell, and Andrew Horchler. Astrobotic Technology, Inc.